MicroStation® created by Bentley Systems is a tool for designing, analysing, and presenting 3D models. What is the perimeter length of each room? How do I create a report of shapes and areas? AreaAnnotator™ updates its measurements when you edit a MicroStation element. When you change a shape, AreaAnnotator notes the change and evaluates the element's new metrics. Then it updates the tags that store and display those metrics. All that happens automatically with AreaAnnotator installed. How do I measure an area and have that measurement updated automatically? 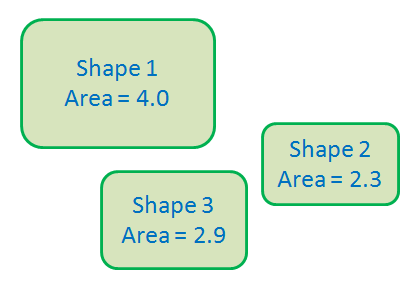 How can I obtain reports of area measurements? How can I measure and annotate multiple objects? A While MicroStation provides tools for measuring linear, area and volumetric properties, there's nowhere to store measured values where they can be retrieved automatically. MicroStation's tags are a good way to annotate objects, because MicroStation has tag reporting tools built-in. But, although you can tag an object, there's no built-in way to have tags update automatically. AreaAnnotator™ works with MicroStation tags to annotate and update object measurements. AreaAnnotator is an area annotation tool for MicroStation V8i and earlier. It lets you annotate an area feature, such as a shape or complex shape element, using a tag set. AreaAnnotator observes changes to the shape and updates the area tag in the tag set automatically. AreaAnnotator also measures length and volume (3D only, of course). You can read about AreaAnnotator at Eat Your CAD. You can use AreaAnnotator to annotate the perimeter measurement of a shape. That is, you can measure and annotate both area and perimeter. If you want to see the annotation as something more informative than just a number, AreaAnnotator can format the measurement into human-readable text. For example, if an area measures 134.567890432, you are entitled to ask the question, "134.567890432 what? Miles, metres, square cubits? A number is meaningless without its units! And what's the use of nine decimal digits to anyone?" In answer to your perfectly valid point, AreaAnnotator can render that area in a more digestible form, such as Area: 134.57 sq metres. which works really well with a TrueType font. AreaAnnotator can help you to annotate object IDs. If you are annotating rooms you may want a consistently-numbered room ID. For example, room numbering in your current model may start with room 100 and continue in increments of five. 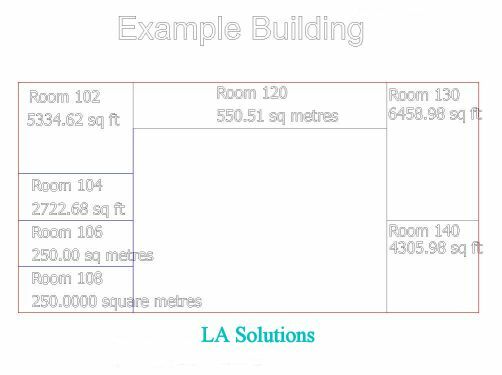 What's more, you can add explanatory text around the ID, so your sequence would look something like Room 100, Room 105, …, Room 125, Room 130. Bentley Systems flagship CAD platform is MicroStation. PowerDraft provides all the 2D and most of the 3D functionality of MicroStation, but at lower cost. LA Solutions provides AreaAnnotator software for MicroStation V8i and earlier. It works with earlier version MicroStation XM. The version for MicroStation V8 2004 Edition is no longer available. We have not tested AreaAnnotator with PowerDraft, but believe that it should work correctly. Let us know! AreaAnnotator is a silent utility. It does a very specific job, which is to monitor shapes and record their areas. It won't help you create schedules or reports. However, our product FlexiTable™ is a great tool for extracting information from tags. FlexiTable will help you create impeccable reports, tables, and even pie or bar charts. There is more information about FlexiTable™. MicroStation's tag tools are interactive: they let a user choose an element, attach tags and edit the tag's value. There is no tool to attach multiple tags in one go. ShapeTagger is a freeware solution to that problem. There is more information about ShapeTagger. It is a freeware utility. It attaches tags to multiple shape and complex shape elements automatically. It invokes AreaAnnotator to measure the areas and update the tag data. ShapeTagger is implemented as a MicroStation VBA project. It is included with the AreaAnnotator download. AreaAnnotator for MicroStation V8i is freeware. There is no license fee. LA Solutions provides AreaAnnotator software as is for MicroStation V8i and earlier. No warranty of fitness for purpose is provided. Use at your own risk. LA Solutions Ltd grants you a zero-cost license to use AreaAnnotator on one or more computers. You will not sell loan or copy AreaAnnotator to any third-party. You will not purport AreaAnnotator to be the intellectual property of any entity other than LA Solutions Ltd.
Visit the download page to register your interest in AreaAnnotator and download the installer. A new version of AreaAnnotator is available for MicroStation CONNECT.